In the last two months I read more than 200 articles and blog posts about SEO and traffic. I make a little compilation from them and in this post I collected most important tips (and links) about traffic and SEO which I found on blogosphere. The second part is a base for it – it includes links to almost 40 great articles from bloggers. Farmers, Pandas, Penguins Oh My! Google Panda And Penguin Updates: What You Should Know To Stay Ahead Of The Game! Traffic Generation Formula: Is Blog Commenting And Social Media Out? And what do you think about it? What are your tips & tricks to get a lot of traffic? Or maybe I forgot about your post or article and you must be here? All related links in comments are welcome. Get a Lot of Quality Links to Your Site. Above all with the latest Google Update, Panda and Penguin. With Guest Posts you have indeed high quality permanent backlinks in your niche. Have a great day, Chris! Hi Erik, thanks for your comment. Quality links are very important, because we got not only links, but also traffic to our site. Great resource. The title should be everything you want to know about traffic. I twittered, stumbled,and googled it. Put me in your google plus circle. I read a lot of your posts and there’s always good info. I’m leaving my twitter handle and would appreciate you following. I’m trying to grow my social media. Thanks. Chris wrote an amazing article here. I am glad to see my blog article in your list. These is a long list of awesome SEO article. Thanks for mentioning me, BTW! You are welcome Abhi. And thanks for your comment. Thanks Chris. I am really glad mate to see my Article Link on your Superb List. Really Nice Collection. Will check all article’s. Hi Amit, all of articles mentioned here are really worth to read. Thanks for stopping by. I’ll definitely check out the articles in the list when I start doing SEO for my website to get some new ideas. One thing I will definitely include is social media which I haven’t before. Hi Kris – social media are very important, even in SEO 😉 And thanks for your comment. I get a lot of enquiries for guest posts but I knock them all back. I used to accept guest posts but I stopped because I’m of the opinion that people come to my blog to read what I have to say and not something from a third party. There are blogs that I used to visit more regularly but have since cut back or stopped all together because lately there seems to be more guest posts than anything else. Nice tips and articles, will check those articles on my friends blogs. Hi Ehsan – you must read them all 😉 – they are really great, informative and helpful. And thanks for your comment. I’m very happy to read your article but before I begun, I’m some what suspicious about my website SEO. Now I can say that My website’s SEO after reading 40 articles of blogosphere going great. Thank you so much to provide such overwhelming information about SEO. This is exciting! I can easily recommend this list to newbie and intermediate bloggers. I’m sure even some experienced bloggers will find lots of useful points on the list too. What’s more important is that blogging success really lies in networking – sharing others’ contents, commenting, guesting posting, joining communities, etc are all power points to enhance success. Love the easy to follow tips and the way you did it visually. First thing i want to say is, you have a beautiful blog…. Second thing about article – you have made your article – one stop solution for SEO and traffic. You have shared your own tips and the similar article written by other bloggers. Hi Sandeep, nice to hear that. And thanks for your great comment. Wow… amazing article.nice tips sir..
Fajar, thanks for stopping by. This is really a great and helpful list. Though I have read a few of them, I’ll spend some time checking out others. Btw. 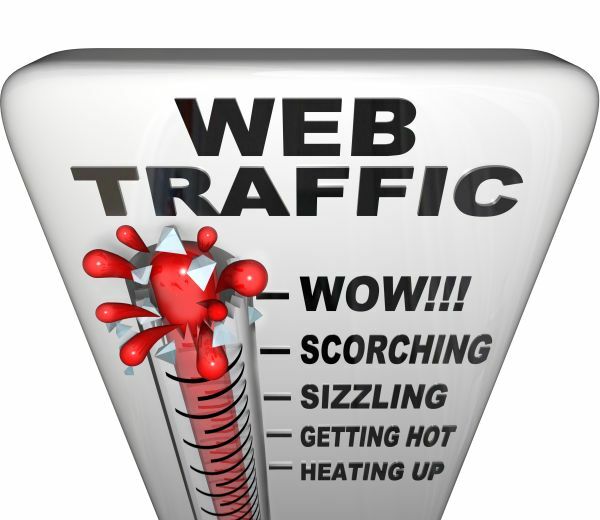 I’ve written some very good articles on traffic and SEO also. In fact, I did some 2 very helpful articles on Google Panda and Penguin updates. But it’s clear you did not see any of them if not they would definitely have entered these list! Chris, this is really kind of you. Thanks for the update. Having an audience of eager subscribers is one of the best ways to dodge these update bullets – algorithm updates will always be a factor to many sites losing ranking and thus losing readers, but your list is yours. Some great articles here too – really nice post! Hi Christine, thanks for your support. I’m just starting building my list, but I also think it’s very important in getting repeated traffic. Number 13: Don’t reply on 1 traffics source. This applies to everyone that needs to be on page 1 of Google to make a sale. It’s key to have lots of streams that can generate traffic. When things get to familiar Google makes a change and lots of people get unhappy, diversify your promotion methods and don’t put all of those eggs in the same basket. Hi Matt, you are welcome. All of posts listed here are worth reading – so plan some hours to do it 😉 And thanks for your comment. Wow Chris, what a fabulous post. Thanks for taking the time to put this one together. I’m sure it was a little time consuming but we all greatly appreciate it. I’ve read quite a bit on this topic as well so I have no doubt you’ve really given us some fabulous post to revert to if anyone still has questions. I’m going to have to read a few more of these just to see if I can pick something else up as well. Again, thank you so much for sharing this. Enjoy your day okay! Hey Chris! Great list out here. Here’s an idea – Why don’t you take out the best ones from here and make an ebook out of it? Give all the credit to the authors and their blogs. But you can just compile them together and put it as an ebook! Thanks for putting all of this great info together. I’m sure it was time consuming, but much appreciated. You are welcome Julie. And thanks for your comment! This is a link-worthy post; thanks so much for taking the time to put it together. Reading the resources linked from this post may take a while, but to me, it will be worth the while. ASIDE: I noticed on no 19. of the Part 1 you said: “Don’t Get Thousands Links to Quickly”. I think you must have meant to say: “Don’t Get Thousands of Links too Quickly”. Planning is really important if you want to achieve success. Through planning you will be able to define the right steps that you should make as well as the right path that could bring you to success. By having a plan, you will waste no time in doing what you need to succeed. Thanks for the great list! Since I’ve been missing in action for a while, Chris, this is precisely the kind of resource I needed – simple bullet-point highlights of the latest and the greatest in SEO world. Thanks for the great article, what a list! Bookmarked for future reference, thanks! great compilation and very useful. I have been reading a lot of SEO blog posts recently and everyone has been talking about the Penguin update and the effects it had. Thanks for sharing this! Wow, so many thing to do. Anyway, thanks for your list. Hi Thiar, I like an idea of “one step a day” 😉 Thanks for stopping by. It would not be wrong if I’ll say it”step by step”……. Chris, I agree with you about list building, obviously, you cannot build a business that you feel safe with based on google organic traffic. Google is not safe for small business owners. They don’t seem to care how they affect others at all! Hi David, having only one source of traffic was common before Google Penguin. I think it will change, and people will start building their lists and try to get another traffic. It amazes me how much people DO NOT use keyword research when blogging. It is so important and one word or phrase can make the difference between page 1 and page 2. Great info! I like how this generally falls outside what most link builders do. These are the type of citations that can really set a business apart from the pack. I think that is worth reading post for everyone. Excellent article but I studied too late..But atleast now I came to know about all…Great collection of articles with clear info on SEO. Keep it up and right like the same which is easy to understand by all…I have one doubt on SEO..How to optimize a particuar page in a website, becoz classified ads and directories are not accepted for deep links. With all of the stuff going on with Google as you already mentioned, I figure that social media will be the “go to” strategy pretty soon. Google will probably end up killing link building for organic searches. Awesome Tips Chris, wasn’t aware of tribber!! looking forward to join it!! Very Informative Blog on SEO tips articles …Its a One-way Link Building that also easy way of techniques of gaining traffic…. A few years back SEO and social media were considered as different tools. SEO tools were used to enhance the search engine ranking of the website in order to promote the products and services while social media tools were used to get connected to the individuals all round the world. But the current situation is not the same. Both of these fields have joined hands in order to deliver the best promotional and marketing tools to the business owners. The search results are now greatly influenced by the use of social networking sites. It plays an important role in drawing traffic towards a website and hence influences its search engine ranking. This information is so useful who want to make money online and want to be full time blogger. Every Blogger who want to make money online, want to know tips and tricks for promoting blogs. You may see more informative articles on my blog. Great article! It’s much useful as the before one I found. I am doing some of these SEO practices and they are effective, will try out the rest too and I am sure that they will be as effective as the others do. Thank you! Very nice tips to get genuine traffic. The presentation of the post is neat n clear. Hope it would help the newbie bloggers to bring honest traffic to their blogs. Great resource just glancing through the titles of the posts you have put up there are a quite a few that I think can help me. So have saved this post so I can look at some of the posts you have highlighted when I get back from work this evening. Hi Chris. Your catchy title forced me to read this article and its really worth reading. But I’m little confused about the “Black Hat SEO methods”. Can you give me a clear view please? Let me say – Awesome post man. I think these are almost ALL OF THOSE things to do. Really a great and informative post for all the bloggers and website owners including those who do SEO for their websites. I am going to apply your useful tips with my own blog and i am sure it is going to help a lot with the increase in traffic to my blog. these really are some very useful tips for a blogger to implement and use. And i am going to try these for myself too and i hope some some really good changes for the traffic of my website. I have read this article before when it was published…This is a great “article collection article”… All SEO & Traffic related great articles at one place……. But i think now it need update as it is almost one year old article. i agree with you sandeep but this tips are also help with me that are so many thing i never know about seo. 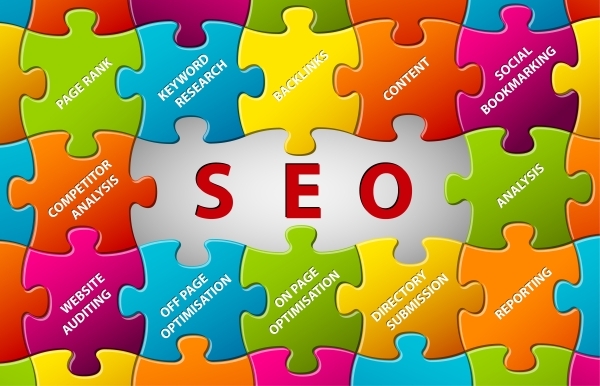 i learn many things about seo after reading this post thanks for sharing. This is really a great list of tips and resources all in one place. Thanks for sharing the SEO tips which is very useful to learn about SEO in one stop. SEO is only way to rank our sites well and get good traffic. If we are good in SEO, then Internet will be ours, to rank any site to 1st page and drive the traffic to our blogs. And all your traffic tips was unique and useful which will definitely bring in traffic to our blogs. It’s a well researched post. You have shared many useful links from various sources in this post. Nodoubt about this content is spoon feeding for me. Because i am learner about SEO. Can You please tell What is the role of RSS in Seo? great list for new blogger like me! Thanks you so much for sharing this chris! Really, you wrote a very nice post regarding SEO tips. I am beginner in blogging so try to follow your awesome tips for my new blog. Keep it up and thanks for sharing such a informative post for us. Nice review Chris. I tell you, I’m loving your blog more each day. I definitely will be featuring you in a blog post very soon. You mention a great list of awesome bloggers. One of my greatest dream is to be included on lists like this. Thanks for the help Chris! As a newbie I was looking for this type of article to increase the traffic of my website.Your article has given useful information which I am going to apply for my site..Thanks for sharing.. I am really very happy to read your article but before I start, I’m some what suspicious about my website SEO due to which I lose my rank. Now I can say that My website’s SEO after reading 40 articles of blogosphere going great. Thank you so much to provide such great information about SEO. Great tips, I’d love to share it on social profiles. Erik, Its very Interesting article can you please explain about the Earning Money through Google Adsense. how much we can from 1000 visitors daily on a regular blog.Thanks in Advance. 1000 daily visitors is a great accomplishment, Ankush. You’ll find plenty of useful resources to sign up for adding new monetization methods to your site. Good luck and let me know if you need any suggestion/help.